After a complete history and comprhensive examination, utilizing chiropractic, orthopedic and neurological testing, Dr. Griesbaum will decide if he can help you. Based on the information gained from the examination. The appropriate X-ray studies will be made. 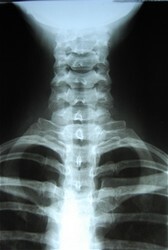 Depending on the findings, Dr. Griesbaum may order an MRI or other imaging study of the spine.